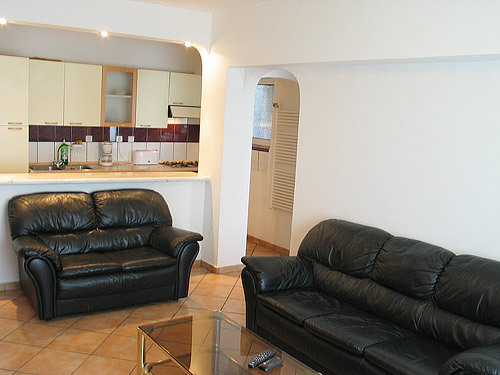 EastComfort's Bucharest Apartments are available to rent in central locations. 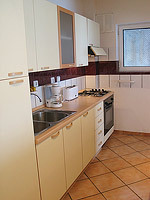 View all apartments from EastComfort and select a short term apartment in Bucharest by our recommendations. This Bucharest apartment was turned into a comfortable and well-equipped home. It comprises an entrance that leads to the open living-room furnished with leather sofas, bookcase, coffee table and entirely covered with ceramic tiles. Living-room and kitchen (large fridge, toaster, coffee maker, ustensils which stands for self-caterings, that can be served in a separate dining nook) are connected by an arch. 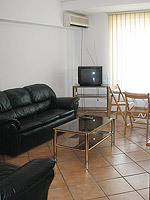 There are 2 double bedrooms, so, accommodation is most suitable for 4 people. 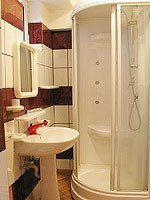 The bathroom is equipped with toillet, lavatory and shower cabine.